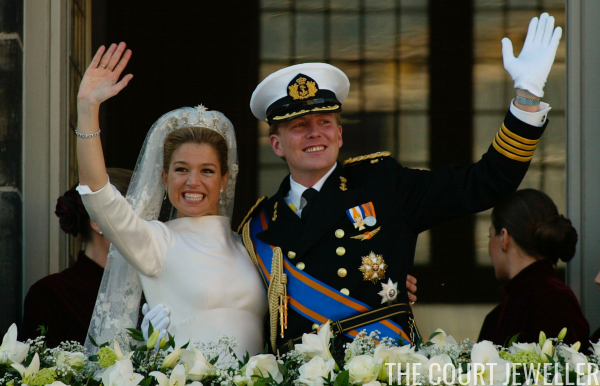 This week, we featured the wedding tiara and ensemble of Queen Maxima of the Netherlands, which is currently on display at the Royal Palace in Amsterdam. But that wedding attire is nothing without the radiant bride who wore it, so today, we're marveling at moving images of the jewelry worn by Maxima on her wedding day in 2002. Enjoy!